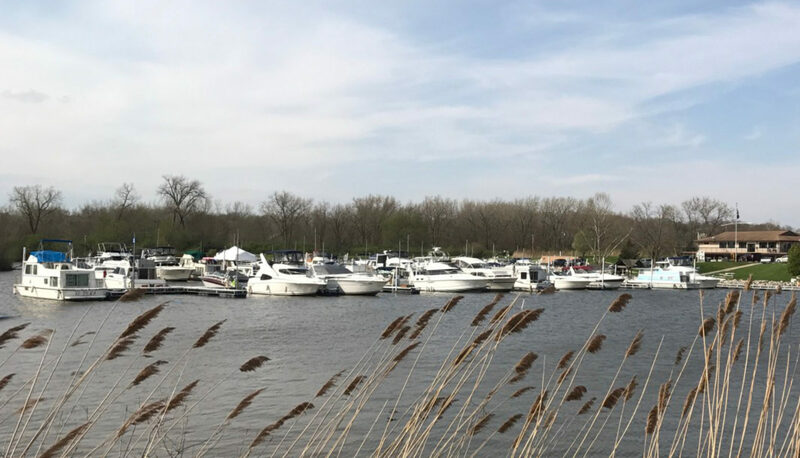 Starved Rock Yacht Club (SRYC) is a members-only boat club located just up-river from Starved Rock State Park, accessible from Dee Bennett Road, west of Naplate. We’re privileged to be located along one of the most beautiful spots on the Illinois River between the bluffs of Buffalo Rock and, of course, beautiful Starved Rock. Being a “private club” doesn’t mean we’re exclusive or unwelcoming. To the contrary, our structure, membership – and ownership – are keys to what makes SRYC such a great place to visit. Everybody contributes their unique skills – a formula that’s worked since the Club’s humble beginnings. For those unfamiliar with a boat club environment, you really do want to call or radio ahead and it helps a lot if you know someone who is already a member at the club. In fact, to become a member of SRYC, you must have two sponsors who know you well and are willing to endorse your membership. This helps to maintain a sense of community and provide a safe and secure environment for our members and guests – many of whom travel via boat from our neighboring clubs along the river. SRYC celebrates nearly 80 years of camaraderie and boating enjoyment. Read on, to learn more about our rich history or stop on by our clubhouse to see historic photos that capture some of the magic that is SRYC.